Gigsters are often asked what their work costs. 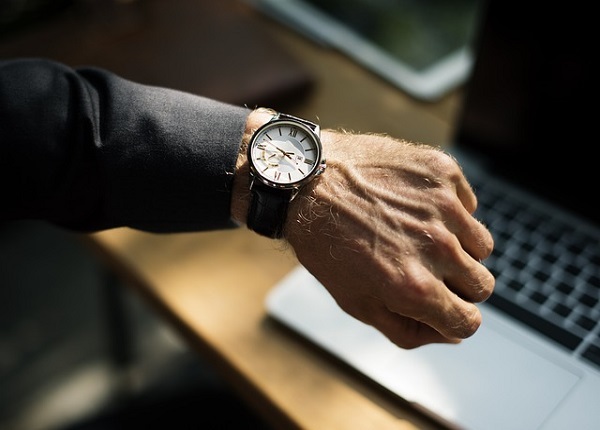 After some back and forth the discussion eventually boils down to the dreaded: “what is your hourly rate?” Not only is it a difficult question to answer immediately, but the fact is that there is no correct answer. This is especially true for those working in a creative field such as graphic design, for example in the design of a company logo. Let’s consider this as a illustrative example of value for a product or service. The first question a graphic designer is usually asked is “what do you charge for a logo?” The reality is that the answer to this question depends almost entirely on the client and the amount of risk they can afford to incur. For a large corporate client who will be using that logo on business cards, a website, printed marketing materials from pens to t-shirts, and on the side of their building, the risk is tremendous. If the logo doesn’t work and all these items will need to be reprinted, the cost of doing this can be excessive. For a small home-business on the other hand, the risk is much smaller. An ineffective logo is not likely to require reprinting hundreds of t-shirts in different sizes. Of course, smaller businesses also don’t have big marketing budgets to spend on logo design which becomes a converging interest with the designer who in turn will charge them less. While most graphic designers want to do work for larger companies so that they can charge more, they also need to keep in mind that in doing so they will incur more risk on their end. So graphic designers also need small businesses to balance things out. While this doesn’t answer the question of exactly what a graphic designer should charge, it does offer an explanation as to how cost is dependent on the client’s risk. This leads to an important lesson about how to hire a designer. A good designer will spend some time researching the client. During the first in-person meeting, the designer should have solid business questions that help establish what the risk might be to the client. These questions will need to supplement information that the designer has already been able to find online and on their own before that first meeting. Typical questions should be: where the logo will be used, how much traffic does the company website have, which employees will be given the business cards, how many t-shirts will be printed. From these questions the designer will be able to determine a fair price for the client, but there is more to this equation. Obviously, doing all the background work and then knowing what questions to ask in the first meeting also requires time and effort. The cost of this extra work will also need to be incorporated into the the proposal. The designer will then take all this information and try to arrive at a starting figure. This figure should also include overhead expenses: computers, office space, insurance, their own advertising expenses, legal fees, online expenses, and outsourcing costs (if any). A ballpark of what a well-established business can expect to pay for overhead is 30% of the entire proposal, although I have typically seen much lower figures. I suspect they are under-valuing this figure or don’t know what their overhead really is. Then there is the expense of doing work with small businesses. Since these typically cannot afford the true cost of a logo, they are not charged the full amount they should be paying. This is a loss to the graphic designer, but one that is necessary. As mentioned before, this is partially to reduce their own exposure to risk, but also to help generate leads for larger projects - working with larger companies adds prestige to the portfolio. So working with small businesses is a symbiotic relationship, but is one that is not easily quantified in dollar amounts. Typically this expense will incorporated into what larger clients can afford. In practice, this cost is never mentioned and seldom included in accounting reports, but the fact remains that a certain percentage of the cost to larger clients will actually be subsidizing smaller clients. Depending on how efficient the designer is or how much they have automated the work for smaller clients to minimize costs, the amount can range from 2-5% of a larger proposal. I suspect that this figure needs to be higher, but that would be very unpopular. This leads to a second important lesson: any graphic designer that proposes a flat or hourly rate right up front is likely not doing the extra work involved in determining true cost. Alternately, they have averaged this out and are not being as meticulous to parse this out for each client. It is important for all clients to know this as a fact of doing business in this industry. While some graphic design work might be of a very high caliber which should be better compensated, ultimately everything comes down to the true value of all the work being purchased by the client, and this includes all the prep work too. A very low quote may spur a quick decision, but will likely not meet basic needs. This question should be considered by both the client as well as the designer – they may both be selling each other short. It should be mentioned that these are all questions to consider before any work is done or anyone is paid. This creates a rather difficult situation for the designer because the client will want to see a good proposal as well, including graphic design samples and concepts for their product, not just a portfolio of projects for other clients. This adds additional preliminary design work (beyond the research and financial prep work) for the graphic designer. More importantly, this work incurs additional risk because no money has yet changed hands. The client could still walk away, in which case all that prep work will have been uncompensated. Technically, that would then further increase costs for the designer, who would then have to pass that on to the next client. These expenses are often dismissed as soft costs and just written off, but they shouldn’t be. While most designers will just fall back on a past portfolio, the fact is that a well prepared proposal with samples and concepts receives much better reception from the competition. Given that this is graphics work and requires some talent, I estimate that this adds another 3-5% to the proposal. Most small businesses when given an initial quote for the design of a logo are shocked at the price. For them the shock is typically from just not understanding the work involved. Even if they do, it is typically not something they had budgeted for. They usually just revert to some home-designed logo that doesn’t meet their needs and will not increase revenue. Or they may just use a simple text-based logo that they generated on a word processor, but it will suffer from the same shortcomings. Large corporations can also balk at the initial quote, but this is because they know they have leverage. Since they are willing to pay more for the same work, they use this to their advantage. They may weigh different quotes against each other. Often the lowest quotes receive the most attention which then drives down prices but ultimately hurts graphic designers. This adds to the overall risk for the graphic designer – if they must bid for a project, there is significantly more work involved that may go uncompensated. While there is typically some negotiation over the contract, this can also require legal representation, thus further increasing costs. Ultimately, this is a very competitive and can sometimes even become a contentious process. And the corporate client could still walk away before the contract is finalized, or during the design process, and they could even claim that the final product does not meet expectations. It’s a difficult business. This is a very cursory but vivid illustration of how a simple design project is valued. This same model can apply when pricing out other projects from consulting services to teaching to programming projects. Many Gigsters do not always have the requisite business skills to know how to compensate for the actual work involved before anyone is even paid. They do not consider the many risks associated with a client walking away. This is where a solid education and requisite experience become essential – a Collegiate Gigster will have this understanding and likely will stumble less often as a result. Consequently, this is also why they can charge a little bit more for their services.